Why are they really going after Putin? Because Putin is a patriot, not a globalist. Putin is a peacemaker, not a warmonger. Putin is a righteous leader, not a petty tyrant. 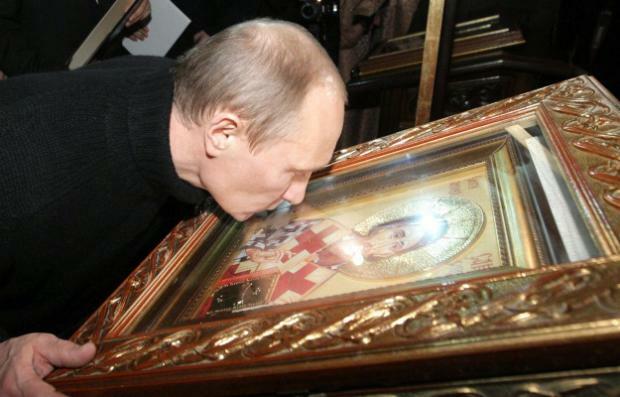 Putin is God-fearing, not godless. There has never been a president or prime minister in the post-modern era who has so completely embodied the aspirations of a nation like President Vladimir Putin does. Putin has come to personify the ideals and principles, dreams and hopes of a country that was ravaged by three-quarters of a century of devastating communism. The Russian people have suffered deeply from the governmental terrorism inflicted by the Western-directed totalitarian regime that ran the Soviet Union until Putin became Deputy Prime Minister in 1999. Putin himself poignantly experienced the foreign tyranny that was militarily imposed upon the Russian Federation by Rothschild banksters and Illuminati kingpins. Because Putin saw the real conspiracy unfold that led to the fall of the Berlin Wall from a highly privileged perspective, he knows exactly what time it is in Moscow… in London… in Washington, D.C…. and in Tel Aviv. See the following extended essay for the essential back story. 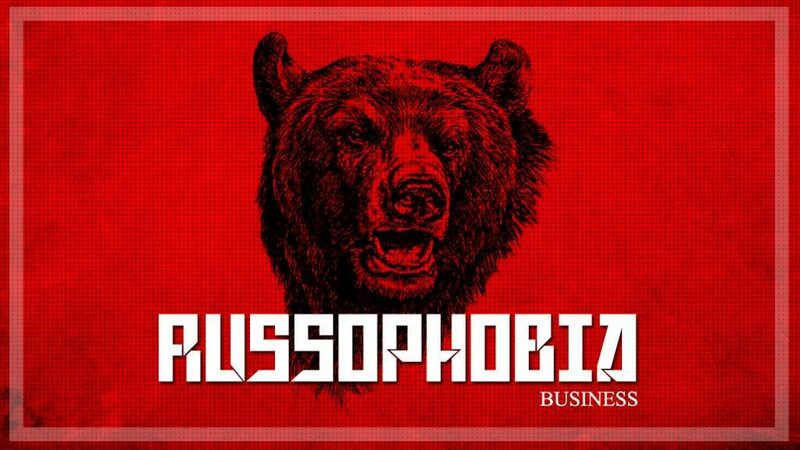 Surely it has begun to dawn on people everywhere that the current hysteria being whipped up against Russia worldwide is nothing but meticulously manufactured Russophobia. The Shadow Government always engineers world wars in this manner. They intentionally set up the geopolitical chessboard so as to pit perceived enemy against perceived enemy. They are able to do this without much scrutiny because the National Security State effectively reigns supreme across the land. By continuously invoking the fake mantra “National Security”, the NWO perps are able to get away with just about anything. Inasmuch as the Military-Industrial Complex has been humming since World War II, vast sectors of the U.S. Federal Government, Corporate America and civil society have been taken control of. When so much of the US GDP comes from those Fortune 1000 companies beholden to the American war machine, how could it be any different? That’s right… it can’t be. This is precisely why so many decent citizens turn a blind eye to America’s many unprovoked wars of naked aggression across the planet. They know deep down inside that their paycheck (and the cheap oil) is dependent on those calculated armed conflicts. Which brings us back to R U S S O P H O B I A. Nothing kept the war machine nicely oiled like the Cold War. This is one reason why they fabricated Cold War 2.0 out of thin air. It especially serves the purpose of pushing the East and the West into two warring camps. In this fashion the perpetual war economy is given a HUGE infusion of cash. The perps and power-brokers at the very top of the food chain know that as long as there’s war, there’s money to be made. There’s also LOTs of chaos and confusion during the fog of war to take advantage of particularly in hiding their massive crime sprees on every continent. The American people are currently experiencing an unprecedented airing of these crimes. Most significantly, the New World Order globalists will, once again, attempt to foist yet another international government on the world community of nations. They did just this with the League of Nations (founded on January 10, 1920) after World War I and with the United Nations (established October 24, 1945) after World War II. A One World Government is already in the works after the global order is sufficiently shattered by the hot phase of a planned World War III. The whole world is now witnessing the cold phase of WW3. The relentless demonization of Putin and accusations against Russia represent the gross provocation stage of this cynical ploy toward yet another world war. Now that Trump has been elected, Deep State is beside itself with rage at the prospect of an enduring peace breaking out between Russia and the United States. Truly, Trump has thrown a wrench into the Black Nobility’s war machine. The insane reactions by agents of Deep State everywhere demonstrates just how determined the warmongers are. Having been found out via the Internet, the NWO perps are backed into a corner of their own making. However, the world is a completely different place than it was last century. In spite of their well laid plans to plunge the world into global conflict, there has to be two sides willing to fight. The BRICS-aligned nations are not playing along; nor is Trump, and the USA is the main player in the Anglo-American Axis (AAA). Because Russia is the last bulwark against a One World Government. The globalists know that were a natural alliance to form between Germany and Russia, the British American Empire would collapse. Were Trump to align with Putin against Deep State, the locus of Anglo-American power would be threatened as never before. Now Deep State has to worry about keeping Russia and the United States adequately separated. This is why Russia is the whipping boy for all the problems and ills of the world today. Both Putin and Trump have taken hit after hit for only trying to forge a future of peace. Nevertheless, it is Russia’s destiny to function as an indispensable instrument of world peace. KEY POINT: The primary NWO geopolitical objective going back over 100 years has been to keep Germany and Russia apart by any means necessary. This was the primary reason behind both world wars but certainly not the only one. Establishing the Modern State of Israel was certainly another major purpose of both World Wars. Russia is the only country on Earth with a landmass that stretches from the Far East to Continental Europe. Hence, the Russian Federation is a land bridge between the East and the West, both geographically and diplomatically. Hence, in the interest of maintaining the peace, it’s incumbent on Russia to exhibit herculean forbearance to prevent war. Those highly evolved souls who currently inhabit the Kremlin know how imperative it is to respond to all AAA provocations with a level-headed approach during these volatile times. The “Executive Summary” found in the following article clearly delineates the back story that will never appear in the MSM. Even the Alt Media has been unusually reluctant to post this highly informative report. That’s because the most radioactive truth has never been so rejected or ignored by so many. What’s really behind all the fabricated anti-Russia hysteria? For those who are searching for the back story to Putin’s Russia, this 13-part special series was written specifically to shed light on the relevant history and ongoing shifts within the Russian orbit. 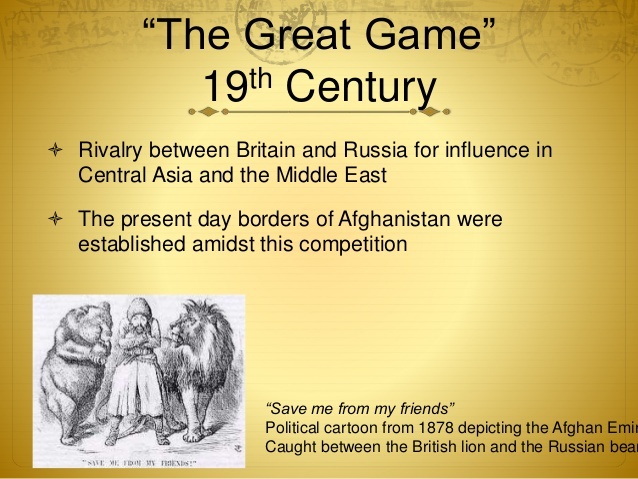 Beginning with the Great Game that was initiated as a all-out resource and land war by Great Britain against Russia centuries ago, this series provides several pieces to the puzzle that is today’s highly combustible global geopolitical chessboard. Every serious geopolitical analyst ought to read and understand the various chapters of the true Russian narrative. Only in this way will the resulting education and enlightenment inform a critical number of thought leaders around the globe who will be compelled to disseminate the truth about Russia’s integral role in the evolution of humanity. Truth bombs falling all over the place! One more graphic example of the free-fall collapse of the Global Control Matrix is the outing of BROWDERGATE. This patently Anglo-American conspiracy alone is enough to destroy the West’s Game Game, once and for all; for that complex and convoluted plot against Russia promises to lay bare the whole megillah. As long as the Internet is up and running, the NWO globalist cabal will be running for their lives both figuratively and literally. Unlike Edward Snowden and other courageous American whistleblowers, the guilty Illuminati perps will not be able to escape to Russia. Just like international criminal and fugitive George Soros, they are all on the Russian “MOST WANTED LIST”. Which is why the whole bunch of cultural marxists persecute and prosecute Russians at every turn. KEY POINT: They say that, at the end of the ages, all anyone has to do is sit back and watch the show. The snakes of predatory capitalism and pernicious communism will first tangle with each other before literally eating their own heads. The bad guys can be counted on to do one heckuva job taking each other down. Eventually the internecine warfare will work its way right up to the peak of the pinnacle of the pyramid of worldly power. That time of reckoning is in the not too distant future.